One of the things that makes the Bay Area such a highly sought after place to live is not only the food and art, but the people from all over the world that give this area such a vibrant culture. 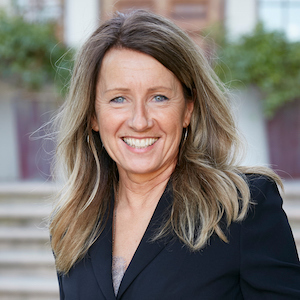 Originally from Sweden, Gunilla Lehmkuhl is an agent who brings a variety of different perspectives and insights to her clients, with a truly in-depth understanding of what it means to become a part of a Bay Area community. Gunilla had exposure to the Real Estate industry early on, having watched family succeed in the business for many years. Her interest in the profession grew until she eventually became licensed in 2002. Since then she has worked in Real Estate both here in the Bay Area, as well as in Sweden; an experience which has given her many different tools in providing the best service and business acumen possible. Gunilla has been a resident in the East Bay, Lafayette, Orinda and currently Walnut Creek since 1986. Having raised three children, she has mastered the ability to persevere, to be flexible, and to identify all possible solutions to a problem. Above all, Gunilla loves being able to offer others the experience she had, of not only finding the right fit in one of the many Bay Area neighborhoods, but discovering everything it has to offer. When she is not working she is enjoying the outdoors, yoga, sampling local food and wine, and continuing exploring the Bay Area!